I graduated from the University of Sussex in 1998 with a BA (Hons) Degree in International Relations. I obtained a Distinction in the CPE/Postgraduate Diploma in Law Course at the University of Sussex in 2001 and a Distinction in the Legal Practice Course at the College of Law in Guildford in 2002. I completed my training contract with Charles Russell LLP in Guildford and qualified as a solicitor in 2004. 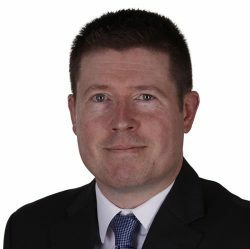 After a further spell working in the Real Estate department, I then moved to a commercial law firm in Sussex in 2005 where I worked in the Real Estate department, initially as an Associate Solicitor and latterly as a Senior Associate Solicitor, until 2017. I joined the Commercial Property department at Coole Bevis LLP in February 2017. Having been born and raised in Sussex, I know the area very well. I am busy outside of work looking after my three young sons and in any free time I get I enjoy playing tennis, going for long walks and watching cricket, rugby, football and golf.